Israel’s first moon lander came up just short in its historic touchdown bid this afternoon (April 11). The robotic Beresheet spacecraft, built by SpaceIL and Israel Aerospace Industries (IAI), aimed to become the first Israeli craft, and the first privately funded mission, ever to land softly on the moon. But the little robot couldn’t quite make it, crashing into the gray dirt around 3:25 p.m. EDT (1925 GMT). Mission control lost communications with the spacecraft when it was about 489 feet (149 meters) above the moon’s surface. “If at first you don’t succeed, you try again,” said Prime Minister Benjamin Netanyahu, who watched Beresheet’s landing attempt from SpaceIL’s control center in Yehud, Israel. So the list of moon-landing nations remains at three, all of them superpowers — the Soviet Union, the United States and China. Beresheet’s story begins in 2011, when the nonprofit organization SpaceIL formed to compete in the Google Lunar X Prize. The GLXP offered $20 million to the first privately funded team to put a robot down softly on the moon, move it at least 1,650 feet (500 meters) on the lunar surface and have it send high-resolution imagery home to Earth. The runner-up would pocket $5 million. An additional $5 million was available for various special accomplishments, bringing the contest’s total purse to $30 million. 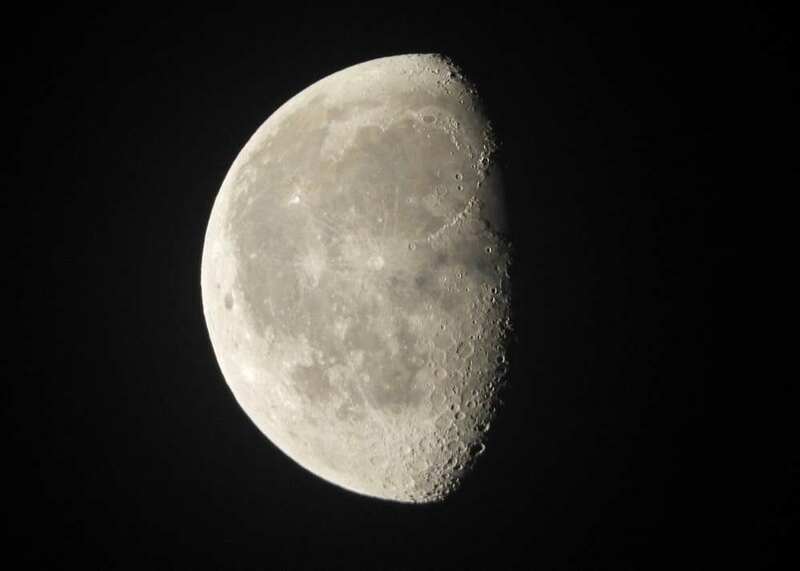 Last month, the X Prize Foundation announced that SpaceIL could win a special $1 million Moonshot Award if Beresheet successfully landed on the lunar surface. Just minutes after the moon crash, X Prize founder and Executive Chairman Peter Diamandis and CEO Anousheh Ansari said SpaceIL and IAI will receive the award despite failing to land. “I think they managed to touch the surface of the moon, and that’s what we were looking for for our Moonshot Award,” Ansari said. “And also, besides touching the surface of the moon, they touched the lives and the hearts of an entire nation, an entire world, schoolkids around the world,” Diamandis said. The lander launched on the night of Feb. 21, soaring into Earth orbit atop a SpaceX Falcon 9 rocket. Beresheet continued looping around our planet for the next six weeks, performing engine burns now and again to push its elliptical orbit closer and closer to the moon. Beresheet ended up covering about 4 million miles (6.5 million kilometers) during this phase of the mission, team members said. No other spacecraft has taken such a long road to the moon. Beresheet’s slow-and-steady strategy paid off on April 4, when the moon’s gravity captured the lander. Beresheet then lowered its lunar orbit via a series of burns, the last of which occurred yesterday (April 10). That 32-second maneuver shifted the spacecraft into a highly elliptical orbit with a closest lunar approach of just 9 to 10 miles (15 to 17 kilometers) and a most-distant point 125 miles (200 km) from the gray dirt, mission team members said. Beresheet was designed to make some measurements of the local gravity field around its landing site during its two or three Earth days of work on the moon. The craft also toted a small laser retroreflector array built by NASA, a technology demonstration that could increase the precision of future touchdowns on the moon and other celestial bodies. But Beresheet was not a science mission at heart. The main goals, SpaceIL and IAI representatives have said, involved advancing Israel’s space program, increasing the nation’s technological knowhow and getting young people more interested in science, technology, engineering and math. And the lander has certainly done all of that. It managed to make it to lunar orbit, after all, send back a photograph from near the moon’s surface, and almost nail the landing. And Beresheet did all of this for a total mission cost of just $100 million, including launch. In addition, project team members have met with more than 1 million Israeli schoolkids over the past eight years, taking the space-exploration message to the young masses. Some of those children will eventually become scientists — and perhaps help design, build or operate spacecraft themselves someday.